Manzano gets in a car accident. It’s nothing serious, at least not for him, but the other party is in bad shape. Because he’s a good guy, he stops to help out and when he does he realizes something. The cars on the street are piled up. 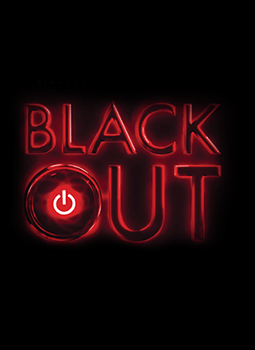 What Manzano doesn’t know is that the blackout is spreading across national lines. What he suspects, and finds out in short order, is its been planned. What Manzano, the engineers and crisis specialists and especially the terrified populace can’t know is this; it’s just getting started. I cut my teeth on what are sometimes derogatively referred to as airport thrillers. Big budget big concept books that you buy in departure lounges to have something to read. For the longest time, they were viewed, unfairly, as little more than prose takeaways; fun but disposable. Thankfully, tht’s no longer the case. 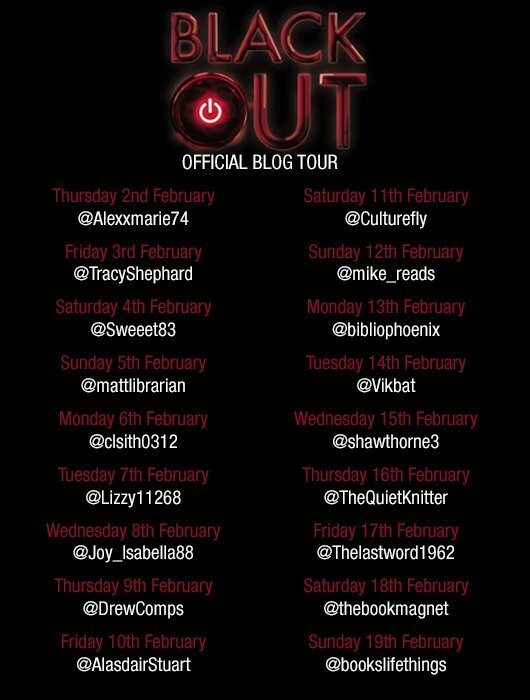 And Blackout, by Marc Elsberg, is the new gold standard for this kind of thriller. Elsberg does the smartest possible thing for a writer in his field and gets out of his own way. The simple fact that the power is off, and refusing to come back on, gives the early sections of the book a constantly ratcheting tension as the comforting lie that this is just a glitch slowly falls away. Better still, each successive attempt sees us check in with people across Europe. Some are engineers, some are investigators but most are bystanders. Elsberg has a great eye for friendship by accident and the way that characters meet and interact feels realistic and grounded. We would make the best of situations like this. We’d laugh and joke. Things would get untidy. Then unhealthy. Then dangerous. The old line about ‘we’re four meals away from anarchy’ is Banquo’s Ghost here, haunting the book and proving, inexorably to be right. Elsberg constantly raises the tension and the stakes and makes the brilliant choice of things falling apart untidily. The world doesn’t end with a whimper but rather with the sound of generators winding down and the characters who survive that are sorely tested on the other side. It’s also here where Manzano, a (mostly) white hat hacker comes into his own. Again, Elsberg takes great pains to humanize him in particular, resisting the urge to make his lead a superman. Manzano is one component of the story, one component of the solution and the team around him are fractious, uncertain and very human. The heroes and villains of the piece all occupy the same moral grey areas and Elsberg constantly lets human nature be as much of an adversary as anything or anyone else. Which, in turn, makes the events all the more terrifying and all the more realistic.